Third Coast Squadron is a proud supporter of the U.S. Navy! The Naval Air Station at Corpus Christi, also known as the University of the Air, began on June 13, 1940, when President Franklin Delano Roosevelt signed a $25,000,000 appropriations proposal. Construction began on June 30 of that year, and the base was dedicated by the secretary of the navy on March 12, 1941. The base carried the distinction of being the worlds largest naval base during WWII. It had the main station at Flour Bluff and six auxiliary stations: Rodd, Cabaniss, Cuddihy, and Waldron at Corpus Christi, Kingsville Naval Auxiliary Field at Kingsville, and Chase Field at Beeville. The total station covered some 20,000 acres in three counties. The originally contracted construction was virtually complete by June 30, 1941. By 1945, 997 hangers and other buildings had been constructed, and the cost had run to more than $100 million. A 980-foot rail-highway bridge and a 400-foot trestle bridge across Oso Bay had been built; a twenty-mile-long railroad was built in thirty-five days. A sixteen-inch cast iron water pipe was laid from Corpus Christi to Flour Bluff. Eight miles of 100 pair telephone cables for a permanent telephone system were laid in ten days. Also constructed was a permanent military highway consisting of eleven miles of twenty-two-foot concrete pavement with a 1,200-foot concrete bridge across Oso Bay, as well as a 4½-mile-long concrete access road to Cabaniss Field. On January 14, 1941, the project reached a peak employment of 9,348 employees and had a weekly payroll of $305,125. The station was initially used to train aviation cadets as pilots, navigators, aerologists, gunners, and radio operators. By 1950 the Naval Air Station was training naval aviators in the advanced stages of flying multiengine land and sea planes. 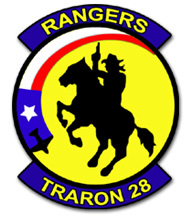 In addition, the United States Naval Hospital, the United States Naval School of All-Weather Flight, the Fleet Logistic Air Wing, Acceptance, Test, and Transfer Unit, and the headquarters for the Corpus Christi Naval Reserve Training Center were operating at the Naval Air Station. The end of World War II greatly curtailed the activities at the Naval Air Station. The naval air stations at both Kingsville and Beeville were deactivated for several years. 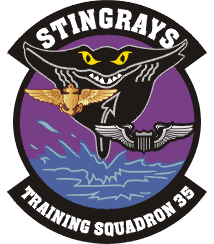 By late 1948 the Naval Air Advanced Training Command had transferred to Corpus Christi from Jacksonville, Florida, and the Naval Air Station, Corpus Christi became a permanent installation. The Navy's precision flight team, the Blue Angels, made their headquarters at Corpus Christi in 1949 and remained there until 1955, when they moved to Pensacola, Florida. In 1959 the Navy shut down a major repair and assembly facility, which had employed the majority of the 4,000 civilians at the base. In 1961 the facility was converted into the Army Aeronautical Depot Maintenance Center. 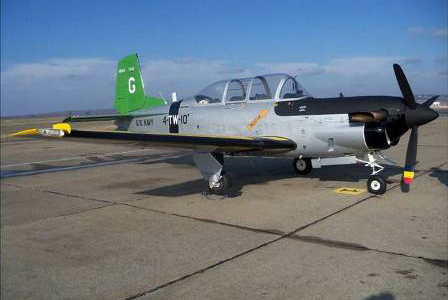 From the 1960s into the 1990s the Naval Air Station continued to provide fully trained naval aviators of multiengine land and sea planes; its students included many from foreign countries. 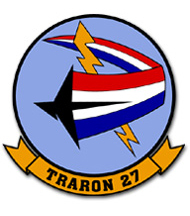 On August 6, 1986, the station's airfield was named Truax Field in honor of Lt. Myron Milton Truax, United States Navy. In the 1990s the station continued to maintain and operate facilities to support operations designated by the chief of naval operations. 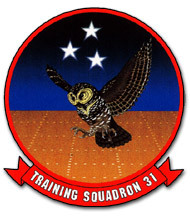 In 1990 there were three training squadrons operating aircraft from the station and currently there are four squadrons, two primary and two advanced.VT-35 is a joint training squadron for both the Navy and the Air Force. 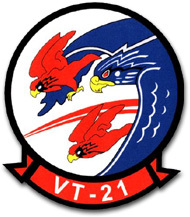 Air Wing 4 is located at NAS Corpus Christi and consists of four training squadrons: Primary Flight Training in VT-27 AND VT-28, and Advanced Training in VT-31 & VT-35. 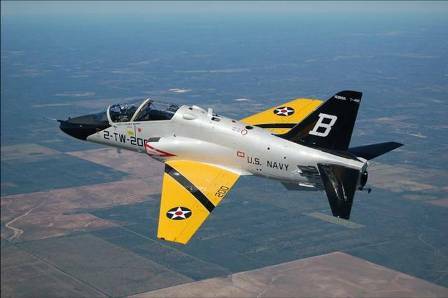 Naval Air Station Kingsville is one of the U.S. Navy’s premier locations for jet aviation training. Located just east of Kingsville, TX. 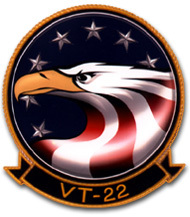 The Naval Air Station’s primary mission is to train tactical jet pilots for the United States Navy and Marine Corps. 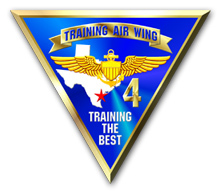 To accomplish its mission, NAS Kingsville is home to Training Air Wing TWO. 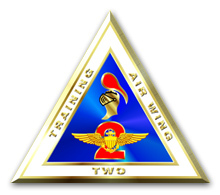 Air Wing 2 is located at NAS Kingsville and consists of two squadrons performing jet aviation training for the Navy and Marines.